Heyo everyone! 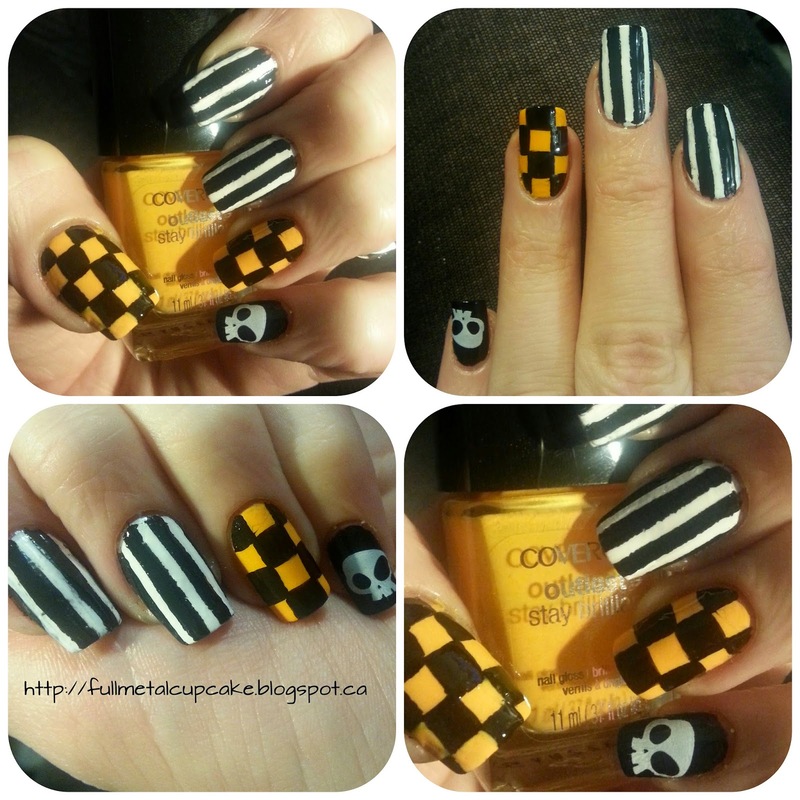 Welcome, and thanks for stopping by the check out my nails of the day I always appreciate when you stop by! Today my nails are based on a "skin" or an outfit of the character Nisha from Borderlands the Pre-Sequel. My boyfriend and I play the Borderlands franchise religiously and while discussing what nail art to do he suggested I check out some of his characters outfits for inspiration and this one really grabbed my attention. Colors used are Cover Girl Goldilocks, Sally Hansen White On, and Essie Licorice. Lines and checkers are hand painted and the skull is from BM stamping plate 211. Hope you enjoyed my nails of the day guys. Please don't forget to subscribe!